Donald, who took second in last year’s Okells Brewery 350cc Classic TT Race was ruled out of action recently with two broken wrists sustained in a training accident and Kneen, who will be having his first ever outing on Classic machinery, will now line up on the G50 Seeley Matchless and 350cc 7R AJS machinery and he’s sure to be among the pre-race favourites. 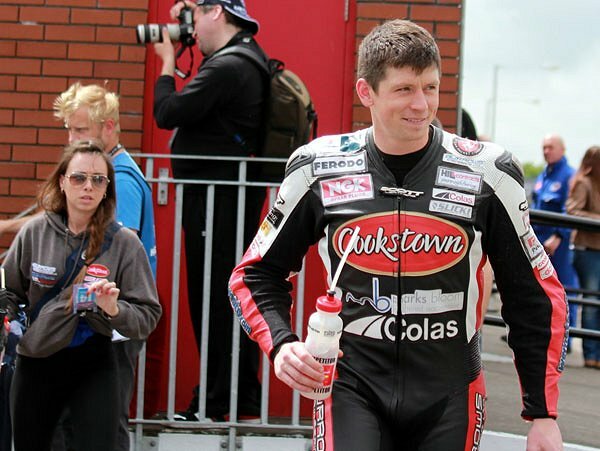 Kneen, who will also contest the Motorsport Merchandise F1 race on the RLR Motorsports GSXR750 Suzuki, has had a stellar year on the roads with the highlight clinching the Irish Superbike Road Race Championship at the recent Armoy Road Races. The Manxman has been making his debut appearances at the majority of the Irish National road races this year yet has still been victorious at the Cookstown 100, Tandragee 100, Skerries 100, Walderstown and Kells Road Races. The 27-year old Braddan rider also enjoyed one of his best year’s at the TT with three top ten finishes and two more finishes inside the top fifteen. His best result was seventh in the RL 360º Superstock Race while he also became the 17th fastest rider of all time around the Mountain Course with a lap of 129.360mph.